Orbeon Forms 2018.2.2 Web Forms for the Enterprise. 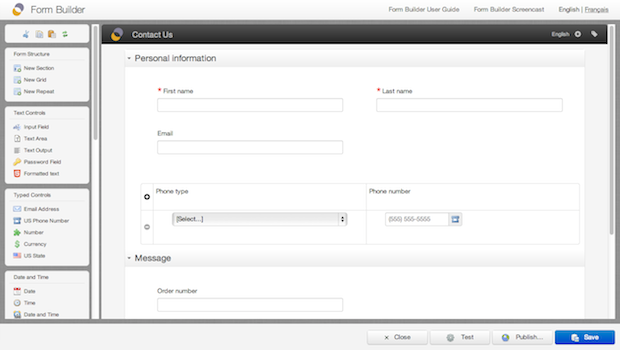 One important component of Orbeon Forms is Form Builder, a web app which allows you to visually design forms. 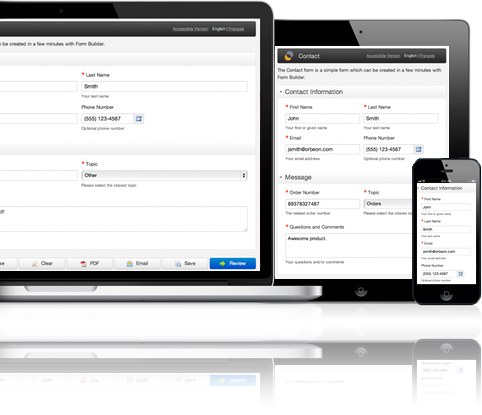 With Form Builder, you can create and deploy forms in minutes, right from a web browser. There is no need for any additional client software or plugins. 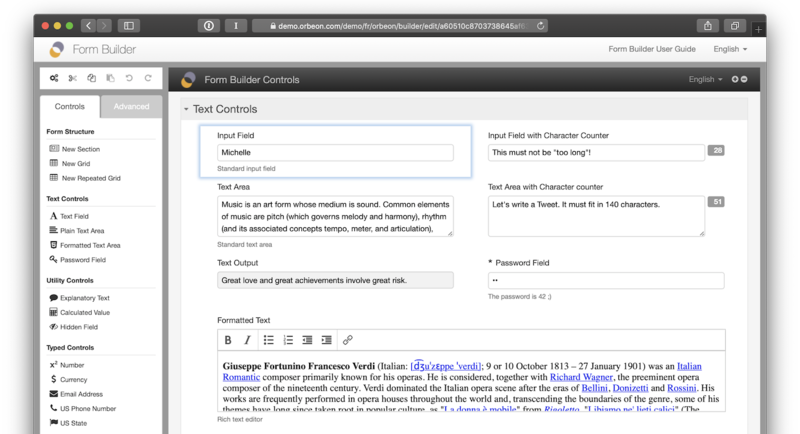 The forms you create in Form Builder are web forms. They are implemented using standard web technologies and can be accessed from desktops, laptops and mobile devices. 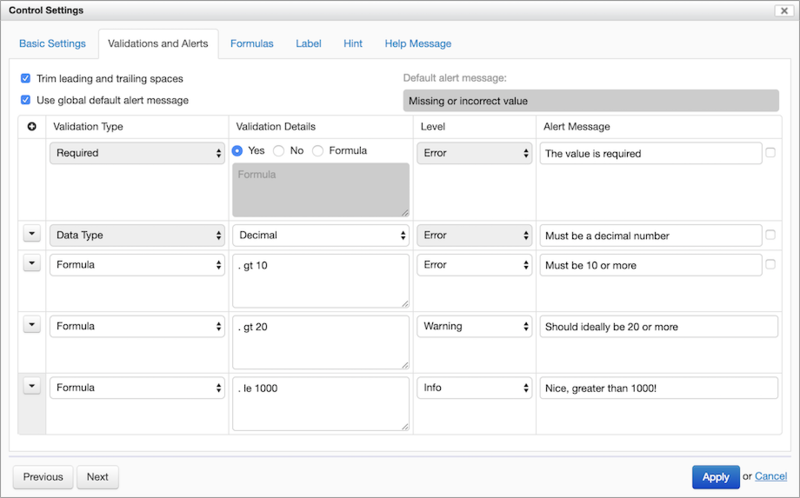 With Form Builder, you can define validation rules for your form fields, specifying errors, warnings, and alert messages to display. You can also define whether fields are visible or editable by users, and create rules to automatically calculate and populate their values, for example based on other fields. And all this logic runs in the background, as users interact with your forms, providing them with immediate feedback. Form Builder allows you to create forms where a group of fields can be repeated. 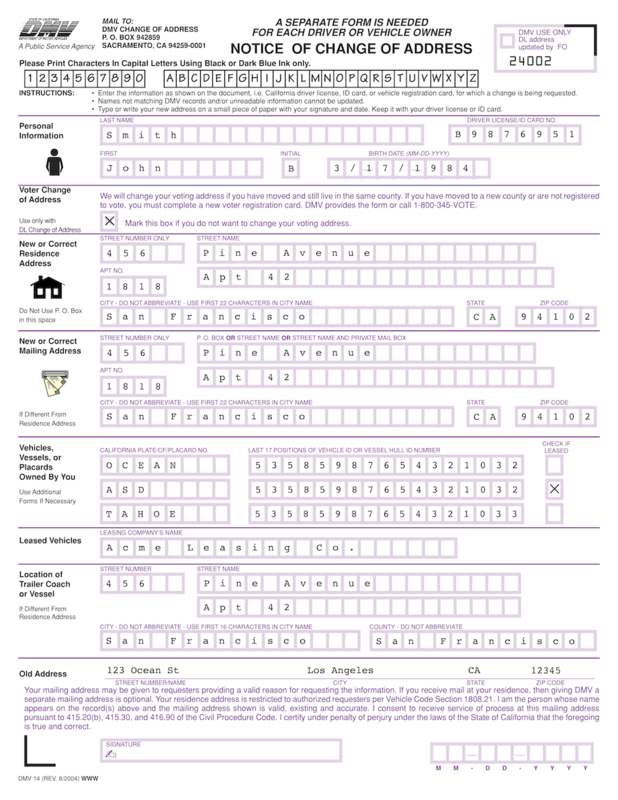 For example create a form for users to provide information about their children, with name, gender, birth date, and social security number. You can also set a minimum and maximum numbers of items allowed, and the form will allow users to add items until the maximum is reached. Items can also be reordered for convenience. Form Builder lets you specify HTTP and database service endpoints. Actions allow you to react to events in the form and call services. The data returned can be used to set the value of form fields and more. 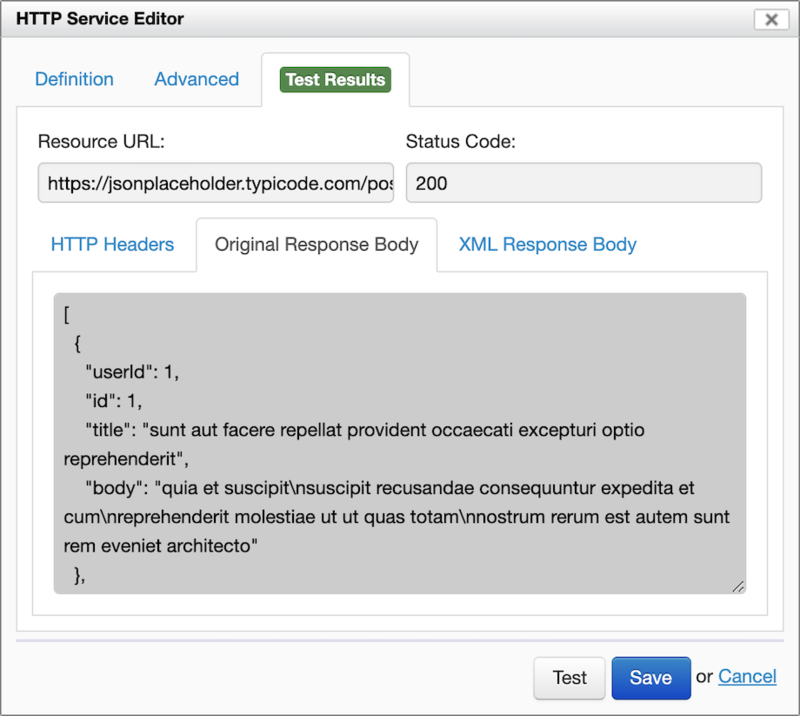 External services can return data in XML format as well as JSON format. In either format, you can use actions to handle the returned data. Orbeon Forms can generate PDF files with the data entered by your users. 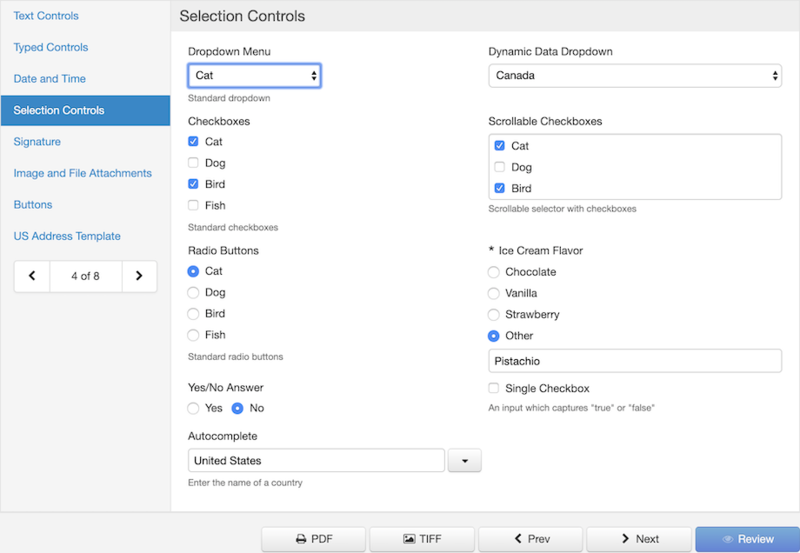 The PDF can be generated automatically based on a layout of the web form created in Form Builder. A PDF can also be generated from a PDF template, which you provide to Form Builder, in which case Orbeon Forms will populate the form fields in PDF template with data entered by users in the web form. Out of the box, each form can be presented as a beautiful multi-page form with navigation so that your users are not overwhelmed by large forms. You can easily see which form page contains errors, and quickly jump from the error list to the appropriate page. Optionally, the validated wizard mode requires that the user complete wizard steps in order. Orbeon Forms is used around the world in a number of industries, including governments, banking, healthcare, telecom, and education. Right from Form Builder, use role-based permissions to control who can create, view, update, or delete forms. Localize your forms directly in Form Builder, providing translation for field labels, drop-down values, help messages and more, all right. Then allow your users to choose the language they want to use. Configure REST or web services to be called by your form, right from Form Builder, and use the result to pre-populate fields, provide choices in drop-down, and more. Run the forms you created with Form Builder within the Liferay portal, and leverage its Liferay's users management, and more. Form Builder gives you out of the box a number of rich fields, such as email address, phone number, currency, or number, and Orbeon Forms provides developers with a way to create their own fields, and add them to Form Builder. On the server, Orbeon Forms runs within a Java servlet container, and out of the box supports storing data in Oracle, MySQL, SQL Server, PostgreSQL, and DB2. Orbeon Forms also has an API allowing you to integrate with other databases or backends. You have a question, suggestion? Get in touch with us!